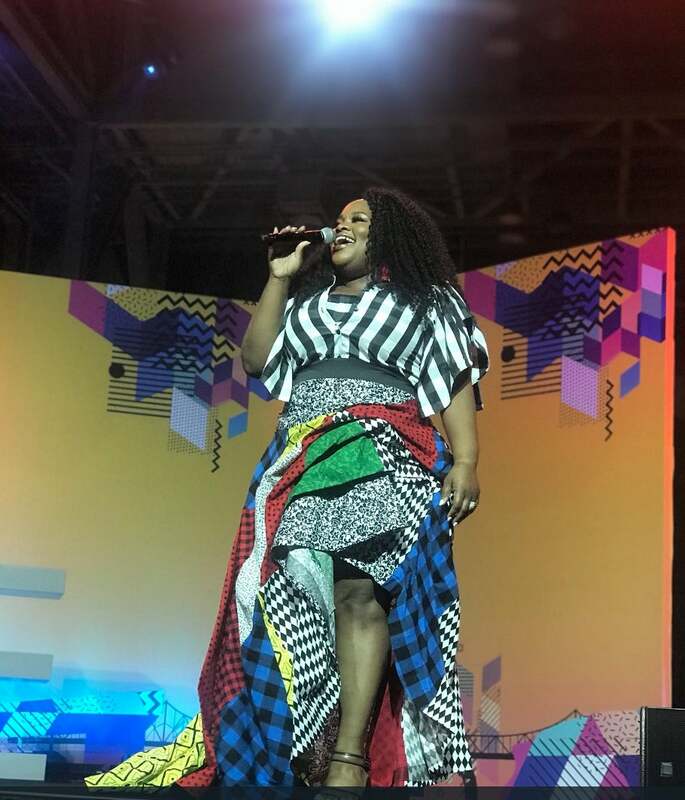 When Gospel singer/songwriter Tasha Cobbs Leonard shouted to the audience, “We about to have ‘some’ church,” the hand-swaying Essence Festival Empowerment Stage crowd expected nothing less than a spirit-filled good time. And that’s just what they got. From the moment she bolted the first high-note, her fans sung right along with her until the last verse was done. The thankful head-shaking, wiping of tears and sincere ‘hallelujahs’ were proof: Leonard had, no doubt, taken the crowd to church. Clad in a ‘Melanated & Educated’ t-shirt and high-waist, African-print maxi skirt, Leonard belted out a few of her gospel hits. She joined a line-up of pastors and award-winning singers including Reverend A.R. Bernard, Marvin Sapp, Smokie Norful and Regina Belle, who took the stage throughout the Convention Center on the festival’s last day as part of an All-Star Gospel Tribute to Dottie Peoples.